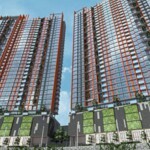 Eco Horizon is a 300-acre integrated mixed development by EcoWorld at Batu Kawan. 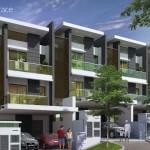 The project serves as the first gated and guarded landed residential development for EcoWorld in Penang. The main highlight of this development is a flamingo-inspired lake garden which is spread over 13.6 acres of land – the equivalent of 13 football fields – and brings you closer to nature. 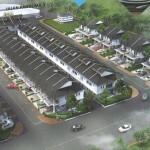 At Eco Horizon, 70% of the land has been earmarked for landed properties. The project will be home to four distinct homes collections. Last year, the Ashton Collection- comprising double-storey terraces – was launched and the developer will focus on the launching the Brydon Collection which is made up of semi-d’s and bungalows. 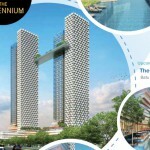 This development is located next to the landing point of the Penang Second Bridge and the Batu Kawan Industrial Park. A proposed major retail development catering to vibrant commercial activities and a university are among some of the amenities found at your doorstep! Additionally, Eco Horizon provides thematic landscaped gardens which lend peace and calm amidst hectic lifestyles. The gazebo found on our grounds serve as a signature of all EcoWorld developments. Featuring open concept homes in 8 distinct designs, within a gated & guarded community. The homes built-up range from 22’x70’, 25’x75’ up to 30’x60’. 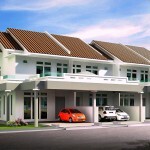 The Garden Home and Superlink come with wide car porch which can accommodate up to 3 cars. The unique part of the Garden Home, is that each unit comes with a pocket garden, catering to different lifestyle options. There is also a 20’ back lane garden found in every unit, providing better childhood memories to children and encourage commune with nature. Seeing is believing, experience it yourself by visiting Eco Horizon show village today.